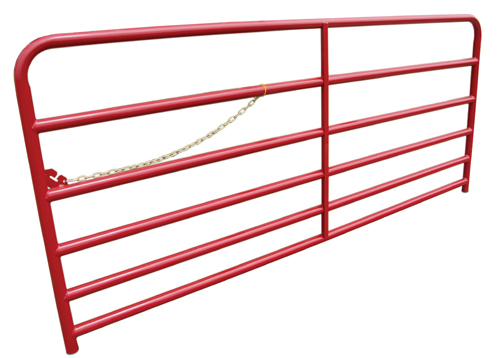 Barn World has a large selection of cattle guards for all of your livestock guard needs. They may be called by various names (Texas gates, animal guards, cattle grids, cow guards etc.) but they all are the same great idea. Barn World has a cattle guard for every need. Visit Cattle-Guards.com for a great informational cattle guard website. 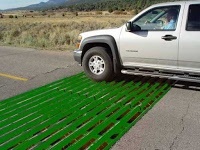 An HS20 and HS25 rated cattle guards are designed for highway use and certifed to meet the specifications needed for State and Federal requirements such as DOT, BLM, USFS, NP, and US Military installations. They will provide years of rugged service in commercial applications such as mining, forestry, agriculture, and petroleum production. They are also the product of choice for residential usage where city, county, or state regulations require the HS20 rating.Certified structural steel is used in the manufacture of all Barnworld HS20 rated Cattle Guards. Barn World also carries a less expensive option for private use such as washouts and driveways. The Standard 6’and 8′ wide cattle guards are made of NEW 3″ Schedule 40 steel. 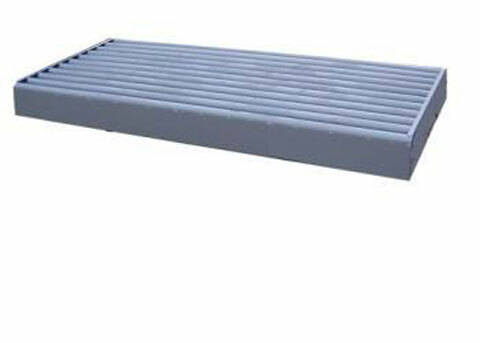 All Flat Cattle Guards may be ordered with optional wings, integral box, or removable box. The ATV cattle guards are unique in the industry. 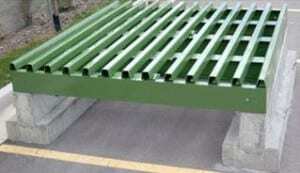 These cattle guards are suitable for all types of projects on private land. The standard boxed cattle guards are perfectly suited to construction sites, mine sites and oil field applications. 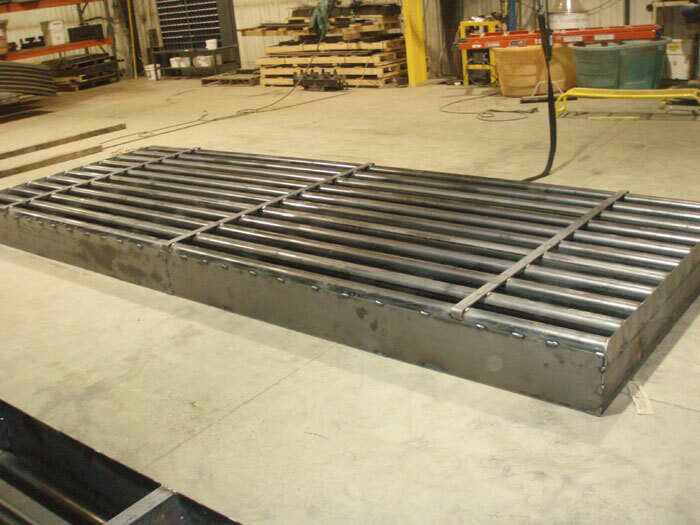 Our 7.5′ and 8′ spec cattle guards meet current AASHTO load ratings and are suitable for all types of applications where a square pipe is desired including heavy duty logging roads. They may be ordered with optional wings or cleanout line. All cattle guards may be fitted with plow strips that allow plows to cross over the guard with minimal interference and wear. All cattle guards may be outfitted with a removable box for easier cleaning as an option. Barn World has a cattle guard to meet your needs. Please call us (720) 238-2190 with your questions and to obtain shipping quotes. We can also provide professional bid packages for large company, military, and government programs and carry a large selection for all of your livestock equipment needs. Barn World cattle guards – a huge selection of cattle guards at great prices! Barnworld’s HS20 & HS25 Rated Cattle Guards meet the demanding specifications needed for State and Federal requirements such as DOT, BLM, USFS, NP, and US Military installations. They will provide years of rugged service in commercial applications such as mining, forestry, agriculture, and petroleum production. They are also the product of choice for residential usage where city, county, or state regulations require the HS20 rating. Certified structural steel is used in the manufacture of all Barnworld HS20 rated Cattle Guards. For a shipping quote, please send an email with your destination zip code and quantity. We will email the shipping quote to the email address you provide. Or feel free to call the telephone number at the bottom of this page for a shipping quote or any other questions you may have about our cattle guards. IMPORTANT: You must have equipment available to unload the cattle guard from the delivery vehicle when it arrives. The delivery truck will require you to unload the cattle guard with a loader or fork lift or some other means upon delivery. There’s a huge selection of cattle guards at Barn World! Barn World has a cattle guard to meet your needs. Please call us (720) 238-2190 with your questions and to obtain shipping quotes. We can also provide professional bid packages for large company, military, and government programs and carry a large selection for all of your livestock equipmentneeds.